Appraisal Forms – Free template – Ready To Use. Use our appraisal forms as a template or enhance and tailor them to your requirements. If you’d like some help to tailor our appraisal forms or you’re looking for professional feedback on your own appraisal forms and appraisal process, just get in touch. We’ll review your current appraisal forms and advise on possible improvements, additions and solutions. 1. A pre-appraisal form to be completed by the Appraisee prior to the appraisal. 2. An appraisal form to be completed by the Appraiser during the appraisal meeting. What are the key considerations when developing appraisal forms? Here are some key points to consider when developing new appraisal forms …. Completing the appraisal forms mustn’t be an onerous exercise. This is completely counter-productive and may even demotivate your workforce. Employees need to feel that the appraisal process is a worthwhile exercise supported by user friendly and focused appraisal forms. We want to implement a new appraisal system, what should we consider? Introducing a new appraisal system is a significant exercise for …. 1. Be focused and clear at the outset – Make sure you know what you want to achieve from the new appraisal system; is it just to do with assessing performance or do you want the new system to link to other HR processes like compensation, recruitment or succession planning? There’s some excellent appraisal software available but making decisions like these at the outset ensures you get value for money and make the most of the system. 2. Make sure your senior management team is on board – If your senior managers don’t buy-in to the concept of a new appraisal system and get involved in its development, then it will, most likely, fall flat. They should also be seen to be part of the process as appraisers, and where appropriate, appraisees. 3. Consider strategy and objectives – Prior to introducing the new appraisal system, it’s essential that company strategic objectives are clear. These should provide the cornerstone from which divisional/departmental, team and in turn specific appraisee objectives are set. An effective appraisal system ensures that appraisees understand clearly what they’re expected to achieve in the coming year. Both the appraiser and the appraisee should be involved in this process. Appraisees are much more likely to be committed to achieving their objectives if they have played a part in the development process. Objectives should be Specific, Measurable, Achievable, Relevant and Time-based (SMART). 4. Clarify competencies – Without competencies (skills sets) it’s difficult to achieve objectivity when the performance appraisal takes place. With a clearly defined set of competencies, appraisees can be assessed against criteria which actually relates to their job. Another consideration here is the rating scale; do you want to score appraisees on a scale or simply invite appraisers to comment on appraisee performance? 5. Decide who will take the reins – Be clear on who will lead the introduction of the new appraisal system. Don’t just lump it on HR. Involve people from other departments, both appraisers and appraisees if possible. 6. Run a pilot of the new appraisal system – Try running a pilot introduction of the new appraisal system prior to rolling it out fully. There will always be teething problems; it’s a lot easier to deal with these with a pilot group than having to make amendments to the appraisal system across the whole company. 7. Objectivity – The appraisal system should encourage objectivity and fairness. The appraisal forms should provide appraisers with a platform to use fact and evidence so that their comments are backed up with real observable examples of good or poor performance. 8. 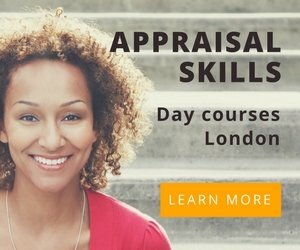 Training for appraisers – Appraisers require a multitude of skills in order to do their job effectively and professionally during the performance appraisal. It’s essential that all appraisers receive comprehensive appraisal training. It’s not fair to expect managers/appraisers to use the appraisal system effectively and behave professionally if they haven’t received guidance. 9. Briefings for appraisees – Some companies fail to see the importance of briefing appraisees on the new appraisal system. Appraisees need to know the part they have to play, how the system works, the benefits they can gain from it and the timeframe. Don’t expect appraisees to be enthusiastic about their new appraisal system if they don’t know how to use it or why they’re doing it. Can you tell me about different assessment/scoring frameworks we could include on our appraisal forms? Appraisees’ levels of performance are considered and rated in relation to their role, responsibilities and, if incorporated, your competency framework. Appraisees’ performance is rated using numbered or graded assessment criteria. For example, numbers could be used from one to six, with one being excellent and six unacceptable or gradings may be preferred using words; perhaps ‘excellent’ through to ‘poor’. Numbered or graded assessment criteria are simple to devise and easy to understand for users. However, there is always the risk that some appraisers may be ‘stricter’ and therefore perhaps, less generous with their scoring than others. There is also a possibility that appraisers may have a tendency to use the middle numbers or criteria when scoring employees because they prefer not to push the boundaries at either end of the scoring system. However, one of the benefits of this type of system is that it is structured, standardised and consistent – all appraisees are assessed using the same scoring criteria on the appraisal forms. Appraisees are assessed against the achievement of personal objectives recorded on the appraisal forms during the previous year’s performance appraisal. For this process to be successful and meaningful, it’s essential that appraisers have a thorough grasp of the skills required for professional objective setting (SMART objectives). Otherwise, appraisers may struggle to substantiate their viewpoint and employees may not feel that they have been assessed fairly and objectively. Appraisers will also have to be organised and methodical in their approach if they use the achievement of objectives as a basis for assessing performance. For example, some objectives may not be ‘annual’ objectives – they may have been set for achievement in the shorter term during the past year. These shorter term objectives must also be incorporated in the appraisal process for assessment purposes to ensure a rounded and comprehensive performance appraisal. The appraiser keeps a record of key performance events during the year. These refer to specific examples of good or bad performance. These records form the basis of the performance appraisal and the feedback provided by the appraiser during the review and on the appraisal forms. A good performance management system facilitates this process by providing appraisers and appraisees with easy and confidential access to the appraisal forms to record events of significance during the year. These record notes can then be used when preparing for the performance appraisal itself. Should we include 360 Degree Feedback in our appraisal process? One of the key benefits of 360 degree feedback is that employees feel more motivated to work as a team. Because appraisees are assessed anonymously on the appraisal forms by their colleagues, not just their line manager, during the 360 process, they get a true feeling for how others perceive them in terms of their performance and commitment. 360 degree appraisal can be beneficial regardless of the size of your organisation. It provides a confidential and anonymous platform through which employees can communicate honestly and without reserve. If introduced professionally, 360 degree appraisals tend to have a higher level of employee acceptance and involvement; this is because they’re acknowledged to be more objective than standard 180 appraisal systems. By helping peers to understand each others’ work and by airing grievances in a non-threatening manner, 360 feedback also improves communication within the organisation. This ultimately means improved teamwork and higher performance. For employees, this also means a more open and enjoyable place to work. Even for a small business, 360 degree appraisals can be beneficial. They help to bring out issues which are normally never spoken, to reduce tension, improve communication, and ultimately to raise the employee’s performance considerably. 360 degree appraisals tend to be most effective when people don’t feel threatened by them. Ideally, employees should know that the 360 process will not be used for setting pay levels and bonuses or be linked in any way to disciplinary action. We want to convert our appraisal forms to an on-line system. What’s the best way to do this? Choosing a new software supplier is a critical business decision and one which shouldn’t be taken lightly. Follow our top tips to ensure the process runs smoothly. Don’t be taken in by product demonstrations. Arrange demonstrations as one of the last steps of the decision making process. A demonstration should be used to assess the functionality and interface of the platform once you’re satisfied that the software meets all of your requirements. Having a great appraisal product is not enough; your appraisal software supplier should also display a commitment to customer service and an understanding of your specific business challenges. Look for suppliers who have clients in similar industries or market sectors. Don’t be embarrassed to vet potential suppliers thoroughly. Ask questions such as; how many other companies in similar industries use the software? How much annual investment do you put into new appraisal products? How long has the software company been operating? What’s the size of their client base? Will the appraisal software integrate with existing business systems? Take your time. Ensure that you don’t make the wrong decision because one supplier promises that they will deliver in time for the start of your annual appraisal process. A rash decision could be an expensive mistake. Ensure you’re not paying for part of an appraisal system that you don’t really need. Don’t select a supplier based on price alone. Remember, cheapest is not always best and don’t be afraid to negotiate. Finally, beware of the appraisal system supplier that says yes to everything! Can you recommend some performance appraisal software suppliers? We are happy to recommend some performance appraisal software suppliers. Please contact us on 01392 346475 or [email protected] and we’ll provide you with a list of vendors who we feel would suit your requirements.